A romantic drama, The Last Time I Saw Paris is a passionate tale of flawed soul mates struggling against life's challenges. The loose adaptation of an F. Scott Fitzgerald short story is filled with the hard consequences of reality failing to live up to unattainable idealism. Paris has just been liberated by Allied troops. 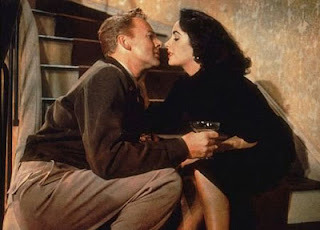 In the ensuing wild celebrations, Charles Wills (Van Johnson), a reporter for a US military journal, meets the spirited Helen Ellswirth (Elizabeth Taylor), and they are immediately infatuated with each other. Although the grounded Charles and the wildly unpredictable Helen could not be any different, they fall in love and get married. Helen takes after her father James (Walter Pidgeon), a fun-loving, larger than life man who lives beyond his means. Her sister Marion (Donna Reed) is much more disciplined, but also jealous of Helen's carefree attitude to life and love. Forced to live within relatively limited means, Helen and Charles try to settle into a life of unsatisfying domesticity in Paris, and daughter Vicki joins the family, while Marion marries the steady Claude (George Dolenz). Charles struggles to establish himself as an author and starts drinking heavily, while Helen finds ways to remain a source of embarrassment for her husband. With the marriage seemingly growing stale, both face severe tests of fidelity, Charles with socialite Lorraine (Eva Gabor) and Helen with suave tennis player Paul (Roger Moore, in one of his earliest notable roles). The Last Time I Saw Paris is a grand love story, inspired by Fitzgerald's Babylon Revisited. Meeting fortuitously in the chaos of Parisian streets overflowing with revellers celebrating liberation, Helen and Charles were meant for each other. But in a case of love alone not being enough, both are reaching for something unattainable: Helen for wealth and the perceived richness of an always exciting life, and Charles for success as a respected author. They both allow their dreams of what cannot be get in the way of what is, and the resultant struggles will strain their love to its limits. The film is limited by the scope of the two main characters, and they are both more flawed than flourishing. Once the fundamental boundaries of Helen and Charles are defined, she playful, ambitious, and hopelessly flirty, he earnest, reliable but with a weakness for drink, the narrative of their life is confined into a predefined box. Neither will rise above their standing to give the movie a lift, and both in fact yield to the worst excesses of their failings. The film follows along, a chronicle of two people having a go at happiness but confronted by foibles of their own making. 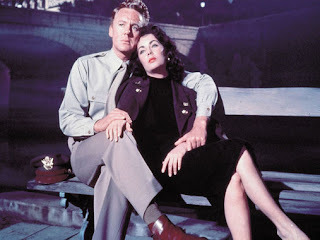 Elizabeth Taylor and Van Johnson bring a pleasing surplus of vitality to their roles. Taylor lets her inner fire burn bright, Helen never surrendering to the realities of life in her pursuit of fun, but giving her man every chance to keep up with her game of frolicking grown-ups. Johnson succeeds in allowing Charles' lurking demons to gradually emerge and dominate, his lack of success as a writer and the inability to match Helen's lust for life driving him to the bottle. With one or both on the screen for almost the entire length of the film, Taylor and Johnson make sure that The Last Time I Saw Paris is never less than engaging. Walter Pigeon nails the congeniality of Helen's dad, full of optimism, joie de vivre and love of the good things, affordable or not. He is the tree from where she fell, and she landed quite close to the trunk. Director Richard Brooks co-wrote the screenplay with Julius and Philip Epstein, and infuses the early parts of the movie with a jubilant yet poignant post-occupation Paris vibe. For a narrative driven almost entirely by the thoughts and conversations of two people, Brooks then does well to find dynamism in a variety of settings, including corner cafes, grand banquets, fancy restaurants and lush parks. Paris delivers on its promise as the city of love, but after the flame of passion is initially lit, not even Paris can guarantee a trouble-free ride.